Today’s article is dedicated to garages and the most effective methods to protect them. If you’ve seen the infographic published recently on our blog you’ll remember that we’ve talked about products with “standard”, “higher” and “maximum” levels. What does this type of classification mean? As we have seen in a previous blog, garages are amongst the main targets of theft because they are often not protected properly. The first “standard” level refers to locks for garages which were installed originally. Often, during the construction of new dwellings, great importance is paid to the safety of structural aspects (earthquake regulations) and plant installations (certifications) without attributing the same importance to the security of the property against possible attempted burglaries. 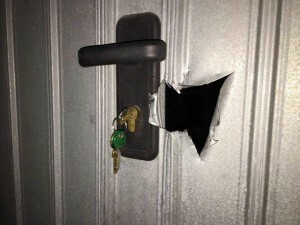 Just as it does not make much sense to think that an armoured door at the front door is enough, if the house has several other unprotected accesses (windows, balconies, dormer-windows, etc. ), it is not enough to equip a garage just with any type of lock (often supplied as standard with the garage door) to secure vehicles and items which you do not want stored, or cannot store, in the house. Standard locks have a poor resistance to pulling and drilling, and do not protect the door against drilling or lifting with a crowbar. 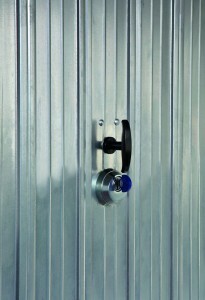 Unfortunately, the economic crisis which has seriously affected the construction industry over recent years has meant that the locks most widely used today when fitting garage doors are often imported from the Far East without any resistance or reliability, and they do not even reach the first standard level. In fact, in order for Viro, by means of testing in its own laboratory, to consider the products to be of standard level, the locks must have a galvanizing quality such that they do not rust outdoors, keys that must be made of materials and have thicknesses such that they do not break easily inside the cylinder and the precision of the machining must be such that it allows, on request, the creation of master key systems, that is, different locks each opened with their own key and, also, a master key which can open them all. 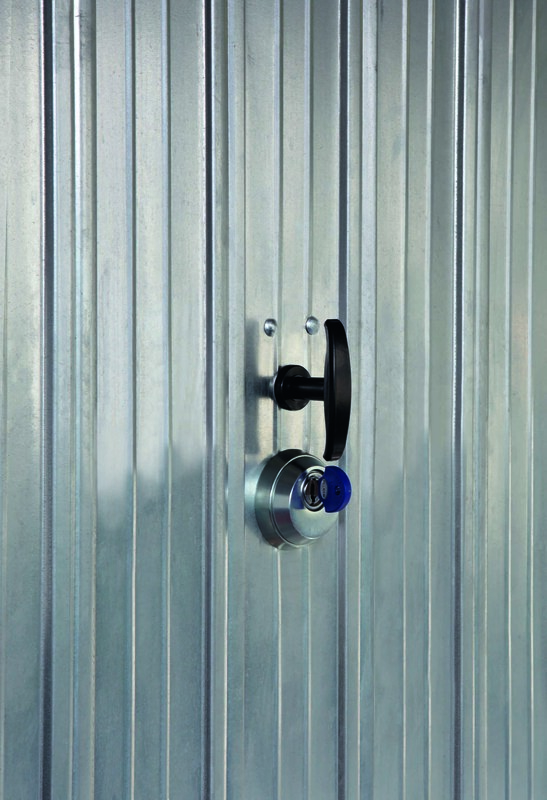 Among these standard locks are the 8235 series for swing doors, interchangeable with pre-installed round cylinder locks or the 8230 series, which can replace the most widely used roller shutter locks with symmetrical keys, already installed. Compared to the most commonly used locks fitted originally, there are also some aspects which relate to the resistance to attacks; for example, the 8235 has an internal opening using a rounded lever which makes it difficult to hook from the outside with burglary tools. Whilst the dead-bolt of the 8230 series bent back on itself adds greater resistance to breakthrough attempts. 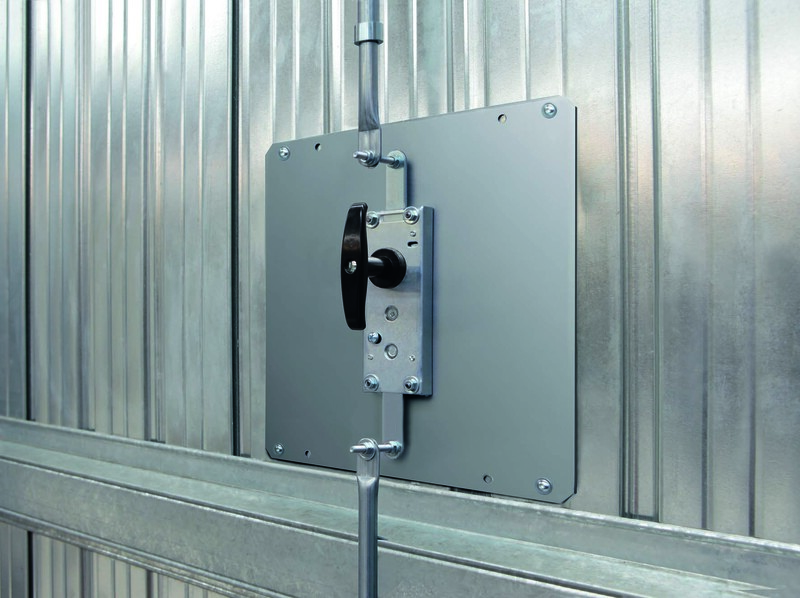 The “upper level” includes products such as the Viro 8217 armoured lock, since the outer side is protected (with steel plates a few millimetres thick) against brute force attacks, whilst the cylinder is protected by a special armour to defend against pulling and drilling. The opening from the inside through an excludable screw makes it practically impossible to hook it from the outside. The “maximum level” includes armoured locks (such as the Viro series 1.8234 and 1.8252) which provide multiple locking points. 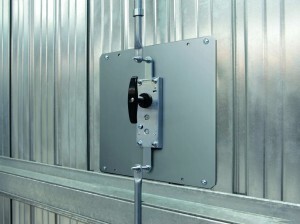 This distributes the force caused by an attempted break-in or lifting over several sides and it can counteract the action of crowbars on all sides of the garage. You can also achieve a good level of security on the cylinder by armouring the lock, for example with the type 806 security escutcheon. 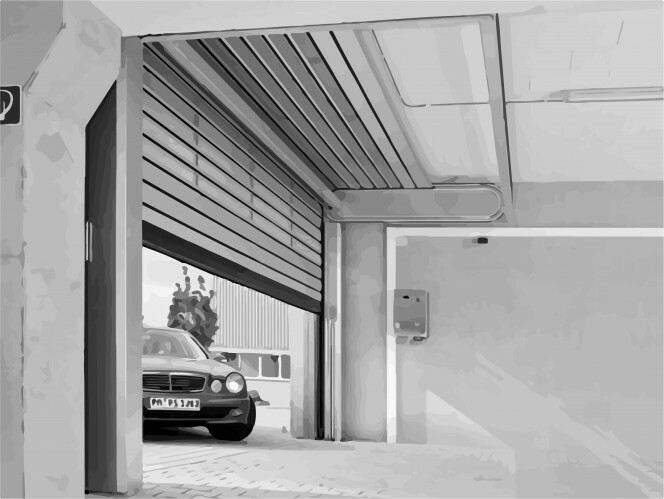 In the next blog we will look in detail at which accessories can help to increase the strength of the garage door structure, especially if it is used as a storage for valuable equipment or vehicles and therefore in need of an even greater protection. This entry was posted in Locks and Cylinders, Motorbikes and Bicycles and tagged products, technology, tips on 6 September 2017 by calessandrini.